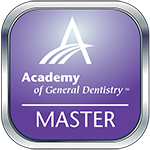 We’re always striving to find ways to improve the overall dental health of our patients. Your smile is the greatest resource you have. If we can help you improve it and make you feel better about yourself, then we can make a difference. Are your dentures uncomfortable? Do you experience dental pain when you eat? Are you missing teeth and embarrassed to smile? Have you noticed your remaining teeth are beginning to move or becoming crooked? If you answered yes to any of these questions, dental implants may be for you. The concept of dental implants has been around thousands of years. Egyptian mummies have been found with several teeth replaced with carefully shaped seashells which were probably placed during the mummification process. In recent times, the science of implantology was popularized in the 1950’s and 1960’s. Dental implants are an effective, natural-looking way to replace missing teeth and we can perform the entire process in our office. Dental implants are the number one restorative option for the treatment of missing teeth. They are virtually indistinguishable from your natural teeth and prevent bone loss and gum recession that often accompanies bridgework and dentures. The implants themselves are small titanium posts which are placed where teeth are missing and act as your tooth root, only stronger. A crown is then attached to the implant to simulate a real tooth. Our goal for each and every dental implant we perform is for maximum strength and longevity of the reconstruction procedure. Dental implants can also be used to better secure dentures enabling you to once again speak and eat with comfort and confidence. They are secure and offer freedom from slipping and clicks associated with dentures. 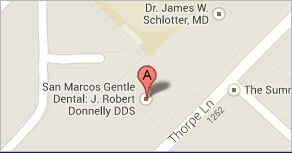 If you think dental implants might be a solution for your smile, arrange a consultation with Dr. Donnelly. Picture yourself with a big, bright smile once again.